Tiny Tails to You is great for any occasion! We love making birthdays a day to remember! For kids, we start each birthday with our “birthday introduction” where the birthday child unveils each animal (one and two year-olds can be aided by an adult). The birthday child gets to stay with the animals the entire time if they’d like. All children sit on small stools (which we provide) with clean lap mats, while they hold our animals. A trained staff member supervises handling each animal throughout the experience. For adults, there is much more flexibility in the way a birthday experience is conducted. Guests are able to move around while holding each animal, and trained staff members are available to answer questions and supervise the safe handling of our animals. "Hoppy" hours are for adults! 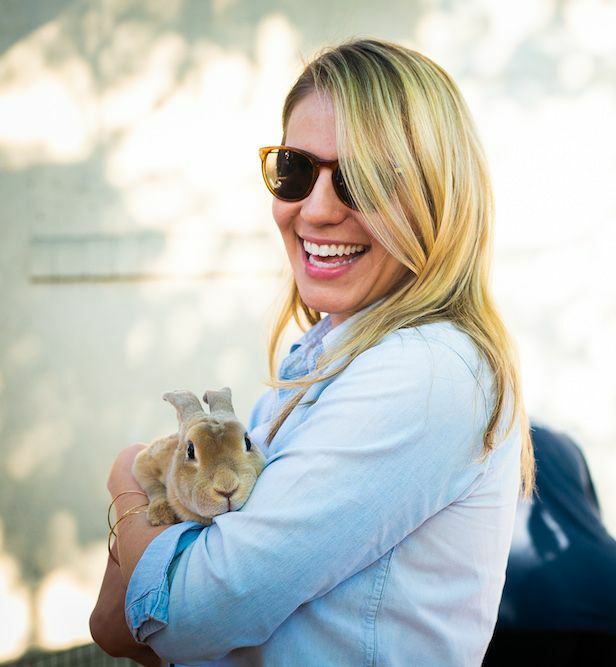 With "hoppy" hours, guests are able to walk freely around the event space with our animals. Trained staff members are standing by to answers any questions and supervise the safety of our animals. "Hoppy" hours are great for events at local bars, after brunch with your friends, at your neighborhood park, private parties, and more! You bring the wine, we bring the party animals! We work with festivals for both kids and adults for festivals large and small! Guests queue up outside of the experience area, and rotate through holding our animals. 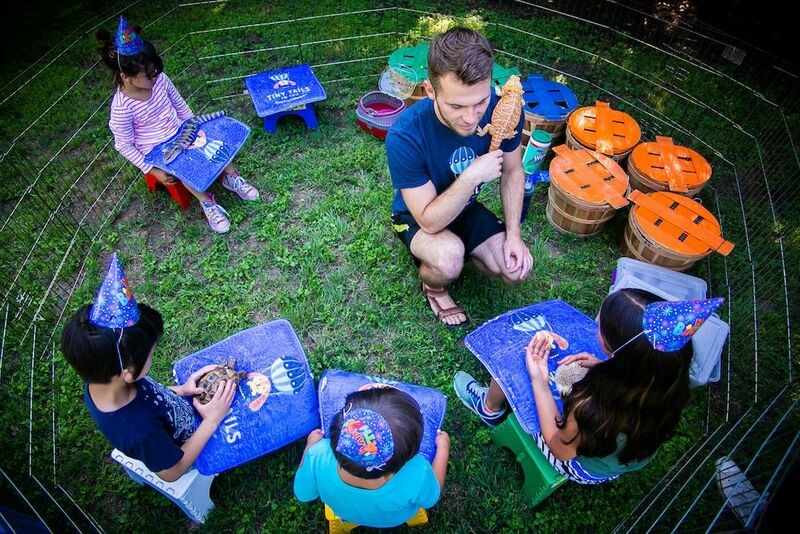 Kids and adults are seated on stools we provide, with a clean lap mat. Hand sanitizer is available, and trained staff members supervise the handling of our animals and answer any questions. Pet Therapy events are for nursing homes, clinical settings, and hospitals only. Our programs are designed to improve emotional and social well-being. We customize our pet therapy program depending on your guest's needs. Kids and adults are seated with a clean lap mat, while holding our animals. Trained staff members are present to supervise the safe handling of our animals, and answer any questions. Our therapy animals include bunnies, guinea pigs, hedgehogs, bearded dragons, miniature chickens, and tortoises. We are great at weddings, black-tie events, bachelor and bachelorette parties, prom, graduations, galas, fundraisers, cocktail parties, and more! Take some memorable photos with our animals! Trained staff members are present to supervise the safe handling of our animals and answer any questions. Our primary focus is education! With every 30 minute classroom presentation we educate up to 25 children at a time about our animals, and give every student an opportunity for a hands-on experience with each animal. All of our classroom programs are designed with age-level curriculum aligned with Texas Essential Knowledge and Skills (TEKS). Looking for a fun and relaxing way to de-stress your office? 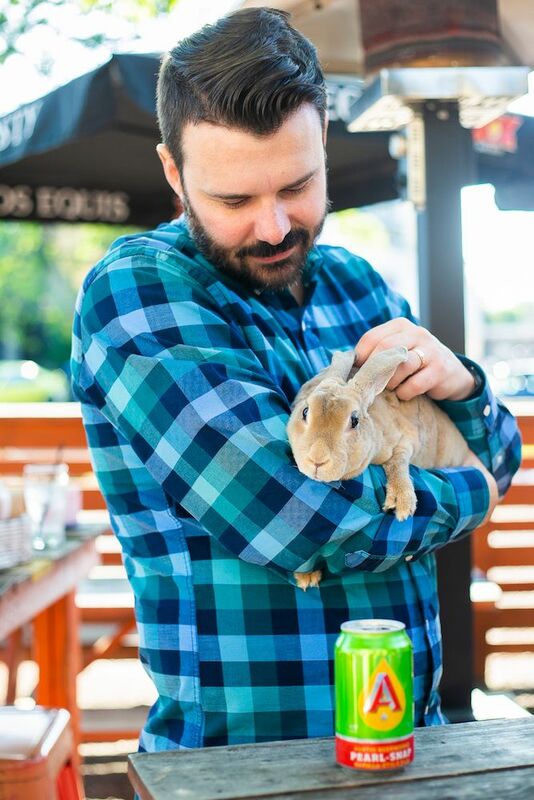 Our office parties are a great way to bond with your team members, while connecting with our snuggly animals. We can setup indoors or outdoors, and guests are free to move around the space. Clean lap mats and hand sanitizer are provided, and trained staff members are present to supervise the safe handling of our animals and answer any questions. Organizing a conference? We are happy to run an event at the conference! We can do all kinds of events! Newer PostHow far do you travel? Older PostWhat if the weather's bad on the day of our event?